Changing Horses Ltd is one of New Zealand’s leading providers of Equine Assisted Human Development (EAHD). Independently owned and operated by Renée Keenan, Jane Weggery in the lower North Island of New Zealand. Equine Assisted Human Development (EAHD) incorporates horses experientially for emotional growth and learning. 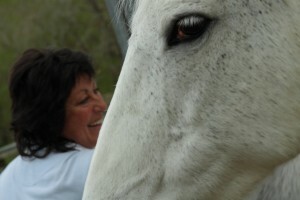 It works under the supervision of a therapist with the clients and horses interacting, to address treatment goals. Because of its intensity and effectiveness, it is considered a short-term or “brief” approach. Those who are familiar with horses recognise and understand the power of horses to influence people in incredibly powerful ways. Developing relationships, training, horsemanship instruction, and caring for horses naturally, affects the people involved in a positive manner. The benefits of work ethic, responsibility, assertiveness, communication, and healthy relationships, have long been recognised. Horses naturally provide these benefits. The use of horses is growing and gaining popularity with the rise of Equine Assisted Psychotherapy and Equine Assisted Learning. Horse therapy has had a big impact on me. Talk about the words flowing from deep within!